Drew is a dynamic motivational speaker known to show entrepreneurs and small businesses the path to success. You may have seen him interviewed on FOX Business News or seen his Steel Fabrication business featured in many high-profile news outlets. Hire Drew to Speak - he is a recognized expert on growing successful businesses. Drew is a professional business speaker who has met with several U.S. presidents, testified before Congress on behalf of small business, appeared on TV news globally and made numerous presentations at universities and businesses nationwide. Drew runs a successful steel manufacturing company at a time when most steel businesses have folded in the United States. As a professional business speaker, he helps business owners and leaders learn to make a profit in the face of foreign competition paying their worker's mere pennies an hour. Drew knows how to develop leaders, create loyal customers, build wealth, and get a business to run in the black. Learn how to bring your business to a greater level of success with Drew as your coach. Drew has testified before Congress promoting policy favorable to jobs & business. Business to Business Marketing Internet. Marlin Steel manufactures material handling and cleaning baskets, sheet metal fabrications, wire forms, and machined products for aerospace, automotive, medical, pharmaceutical, industrial, and military applications. Growing seven years in a row despite the recession, Marlin's execution of Quality, Engineered Quick℠ - is leading the company to success. What does QEQ mean? Quality: Marlin Steel (ISO 9001:2015) focuses on quality. Over $3 Million of new robots and automation investments have enabled Marlin Steel's team to make more precise parts. Marlin Steel's USA-made punch and USA-made laser hold tolerances of +/- 0.004" (0.1mm) and its Press Brake has tolerances of +/- 10 Microns! Check fixtures for each project ensure quality is built into every step. It is not just speed: 2,688 days of operations without a safety problem is a tribute to the positive safety culture at Marlin Steel. Marlin Steel makes everything in the USA and exports to 36 countries. Marlin is proud to be part of the Manufacturing Renaissance sweeping the USA: made in the USA. 7/20/17 Drew Greenblatt is scheduled to join the National Association of Manufacturers' Executive Insight panel in Cleveland, Ohio. This panel discussion will allow Drew and other industry leaders to deliver key insights on small manufacturing success in a global economy. 5/19/17 Drew Greenblatt is scheduled to give the keynote speech at the Metro Manufacturing Alliance (MMA) Summit in New Albany, Indiana. 5/10/17 Drew Greenblatt delivered the keynote speech at the South Central Texas Manufacturing Tradeshow and Conference. During his speech, Drew discussed how to overcome the challenges of manufacturing in America and the Trump administration's plans for American manufacturing. 4/20/17 Drew Greenblatt joined leaders in engineering, management and procurement during an Alliance Engineering roundtable event at the Kingsmill Resort in Williamsburg, VA. During the event Drew delivered a keynote speech focused on how to leverage emerging technologies to be a competitive manufacturer, what to expect from the U.S. administration and more. 3/23/17 Drew Greenblatt delivered the keynote speech at the Metal Treating Institute (MTI) Canada Chapter Meeting. The speech covered the dynamic changes in the North American manufacturing sector, how to leverage emerging technologies to remain competitive and more. 3/21/17 Drew Greenblatt delivered the keynote speech at the Metal Treating Institute (MTI) Midwest Chapter meeting. The covered the American manufacturing renaissance and overcoming the challenges of manufacturing in America. 3/16/17 Marlin Steel CEO, Drew Greenblatt, joined a panel discussion titled "Why Good Jobs Are Good Business" at the Aspen Institute's Summit on Inequality & Opportunity in Washington D.C.
1/13/17 Drew Greenblatt meets with Vice President Elect Mike Pence and delivers presentation on Marlin Steel's digital journey at Regional Manufacturing Institute of Maryland (RMI) event. 5/03/16 Drew Greenblatt joins panel discussion on the importance of small manufacturing at the World Manufacturing Forum 2016 in Barcelona, Spain. 10/15/15 Drew visits the GE Aviation Brian Rowe Learning Center to deliver keynote speech as part of a thought leader panel on overcoming the critical skills gap facing the manufacturing industry. 6/17/15 Marlin Steel's CEO, Drew Greenblatt, speaks about how to train, engage and develop workforce talent during the National Fund for Workforce Solutions' national conference. 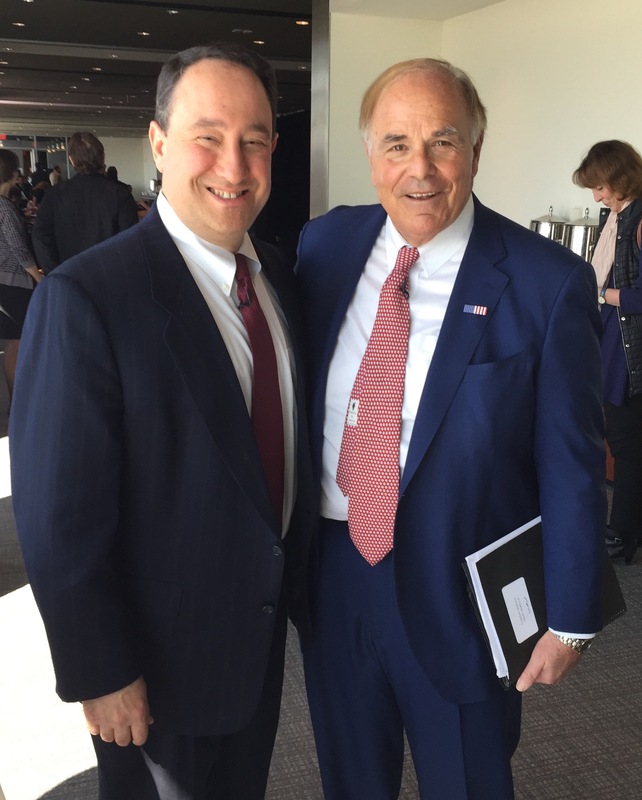 4/30/15 Drew Greenblatt joins the National Association of Manufacturers (NAM) Leadership Engagement Series panel in Charlotte, North Carolina. 12/2/15 Drew Greenblatt delivers speech on the future of manufacturing, particularly on how federal export, trade, regulatory, infrastructure and workforce skills policies coming from Washington affect the success of American business. 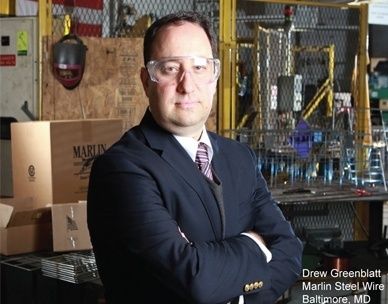 Drew Greenblatt is scheduled to moderate Manufacturing Day - 2014. Candidates for Governor will discuss strategies to advance Maryland manufacturing. 5/1/13 Marlin Steel President Drew Greenblatt is scheduled to speak at the RFID Journal LIVE 2013. 4/24/13 Next Generation Manufacturing Summit/North America - The Changing Manufacturing Workforce - How to build a better manufacturing workforce. 4/18/13 Marlin Steel President Drew Greenblatt is scheduled to speak at the Metalforming Pioneer Company Workshop. 4/15/13 Marlin Steel President Drew Greenblatt is scheduled to speak at the AME Spring Conference 2013 - Revitalization of North American Manufacturing. RMI Chairman Drew Greenblatt is scheduled to speak at RMI's Breakfast Series - Insights for Maryland Manufacturers. Marlin Steel President Drew Greenblatt spoke at the 4th IFR CEO Round Table at the Automate in Chicago on 22 January 2013 - Topic: Robots create Jobs. University of Maryland Mechanical Engineering Design Day Sponsored by Marlin Steel. Marlin Steel President Drew Greenblatt is scheduled to speak about the Importance of Innovationat the 3rd Annual OAI Industry Members' Forum. Boosting USA Innovation - 11 Tips: How to Create More Innovation in the U.S.A.
11/14/12 Testimony for Committee on Oversight and Government Reform Subcommittee on Government Organization, Efficiency and Financial Management. "How to Grow US Manufacturing in a Recession" at the Next Generation Manufacturing Summit US | GDS International. How to Grow in Tough Times - Top 10 Talent Success Tips to Grow Your Company presented by Drew Greenblatt. Why Marlin Steel is Growing - Presented by Drew Greenblatt at the University of Maryland. Marlin Steel President Drew Greenblatt was a featured speaker at the AMM/AWPA partnered event: Wire Rod Supply Chain Conference. Marlin Wire's Engineered Solutions - Marlin Wire has a growing diverse and demanding customer base for their wire fabricated products. This presentation illustrates their keys to success when working with such industries as aerospace, medical, and the military. Marlin Steel President Drew Greenblatt was a featured speaker at the Wire Association International (WAI) Meeting. 4/25/12 Marlin Steel President Drew Greenblatt was the keynote speaker at National Council for Advanced Manufacturing Annual Policy Conference - Why Marlin is Growing. 4/18/12 Marlin Steel President Drew Greenblatt was the keynote speaker at DuPont's Sailing Into New Horizons: Welcome Aboard. 4/12/12 Marlin Steel President Drew Greenblatt was a keynote speaker at Cessna Aircraft Company. 4/10/12 Marlin Steel President Drew Greenblatt was the keynote speaker at the Driving Rivets to Driving Automation Workshop. 1/11/12 Marlin Steel President Drew Greenblatt participates in the "Insourcing American Jobs" Forum at the White House. 12/16/11 Drew Greenblatt, President of Marlin Steel, speaks at the CFO Roundtable. 12/1/11 White House Invites Marlin Steel to discuss How to Grow USA Manufacturing Jobs. 11/15/11 Next Generation Manufacturing - Two of Maryland's Top Manufacturing Executives Speak. 10/27/11 RMI of Maryland - Town Hall Discussion - Has America Lost it's Competitive Edge? 10/17/11 Washington Post Live - Speaker Drew Greenblatt. 10/12/11 American Metal Market - President of Marlin Steel, Drew Greenblatt's Speech Notes. 9/30/11 Drew Greenblatt speaks at AWMI. 6/24/11 White House invites Drew Greenblatt to Advanced Manufacturing speech at Carnegie Mellon University. 3/3/11 Video — Drew Greenblatt Testimony to US House on Made in America. 3/3/11 The Maryland World Class Consortia - MWCC Training & Events Calendar. 2/3/11 Manufacturers' Alliance of Maryland - How to Make Manufacturing Grow. 6/23/10 Drew Greenblatt speaks at the AWMI. AWMI President Judy Thompson presents Drew Greenblatt for speech on "Growing in a Tough Economy: How does Marlin Steel do it? 6/23/10 Maryland Manufacturing Partnership-Next Generation Manufacturing. Next Generation Manufacturing - Making Manufacturing Grow. 175 attendees at the RMI event. 6/15/10 Georgetown University Center on Education and the Workforce - Projections of jobs & education requirements. 5/5/10 Small Business Grows Jobs Through Exporting Marlin Steel President, Drew Greenblatt, Testifies to US Congress, Asking for Ratification of Free Trade Agreements. 4/28/10 Marlin Steel Wire Testifies before Congress - Free Trade Agreements will increase manufacturing jobs in the USA. 4/23/10 Green Factory - Saving $ and Helping the Environment. 3/19/10 FOX Business News - Interview discussing health care, jobs and the U.S. economy. 2/26/10 FOX Business News - Interview discussing job creation and the U.S. economy. 4/21/10 Woodworking Industry Conference - Marlin speaks about Precision Check Fixtures. 2/25/10 CNN - Best Damn Baskets in the World - Carol Costello Interview. 2/4/10 Obama's Efforts To Boost Exports Face Hurdles. 1/15/10 The Shape of the Recovery. 10/23/09 Drew Greenblatt speaks at the NAFTA seminar. 8/31/09 Drew Greenblatt to speak at CASMI 11/19/2009. 11/6/07 Going Green with Maryland Manufacturing Drew Greenblatt speaks to over 300 attendees about Recycling Production and Sustainable Manufacturing. You were very much a highlight for me. If I were a young man looking for a career, your speech would have motivated me to make a job application! Your presentation content and skills were fantastic, and you covered all the proper points in a meaningful way. 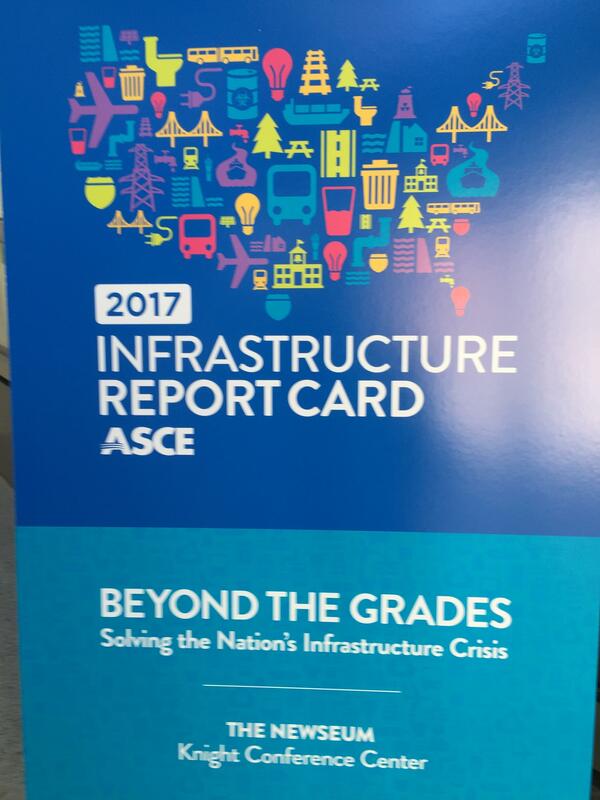 I join our conferees in thanking you for participating in our Annual Policy Conference and for the great job you did as our luncheon speaker. Attendees were most complimentary about your description of the way you have built Marlin Steel into a company that is both profitable and competitive across the United States and the global marketplace. You have demonstrated that the company is continuing to grow and prosper, probably because you and your team have kept your eyes on Marlin Steel's secret sauce -- Quality, Engineered Quick ("QEQ"). I would like to keep in touch and feel free to use Marlin Steel as an example of a successful American company that knows where it is going … and how it will get there. I want to thank you for taking the time and expense to visit Cessna and share your insights and ideas on how to improve as a company. Your message resonated with me, and I don’t know if you could tell, but your audience was engaged as well. I have a feeling the questions would have kept coming had time allowed. 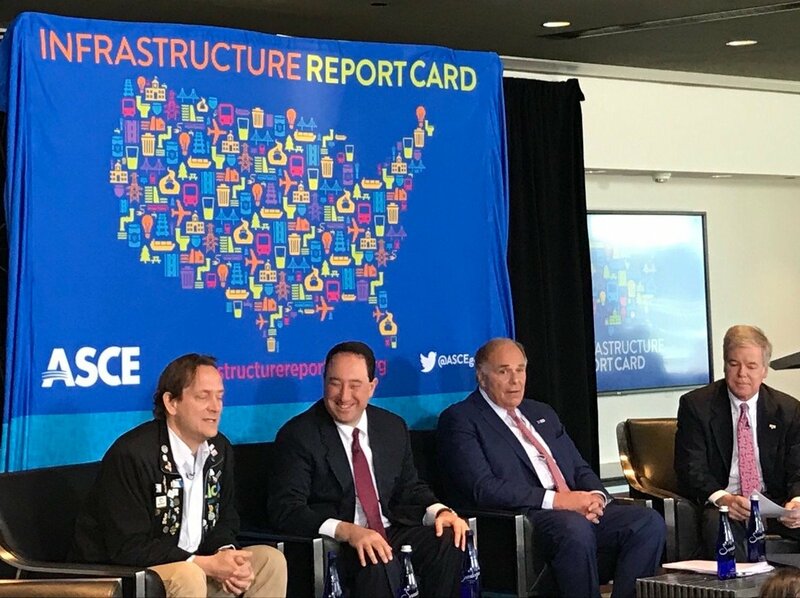 It’s good to hear voices that are optimistic about the future of manufacturing in the US and our ability to implement positive changes in our particular industry. 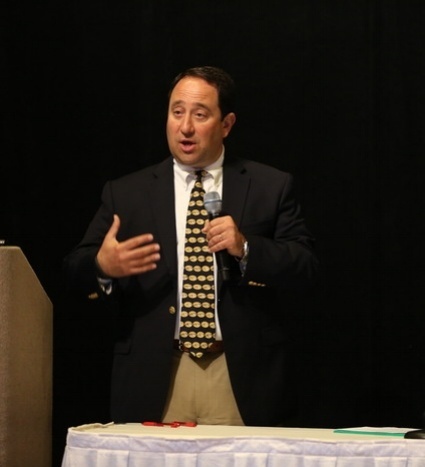 Marlin Wire’s President Drew Greenblatt presented at a meeting of the Wire Association on May 22 and his remarks were extremely well received. He shared a candid overview of his company’s strategy and he provided the room full of wire manufacturers all of the ingredients that form the basis for Marlin’s success. It was clear to everyone in the audience that Marlin is an organization that is creatively utilizing all available resources to be an outstanding manufacturer. On December 13, 2011, Drew Greenblatt spoke at our quarterly Mid-Atlantic CFO Roundtable event, attended by 50 CFOs in the greater Baltimore-Washington metropolitan area The topic was Going Global, and Mr. Greenblatt was both informative and entertaining in talking about a subject that he clearly was both knowledgeable and passionate about. He imparted valuable information, which the audience found very relevant and helpful. Mr. Greenblatt was the highlight of the meeting.